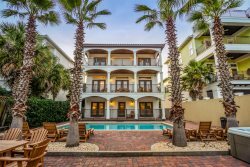 July 28 special Destin Boomerang // August 11 special all 3 properties! Destin Boomerang special pricing week of July 28th! Price just reduced $1,800!! All 3 properties just reduced for August 11th week. Please see pricing for significant savings! Please call to inquire about last minute, money-off specials, as well as relaxed minimum stay durations, if open dates are available within 30 days of your desired stay!